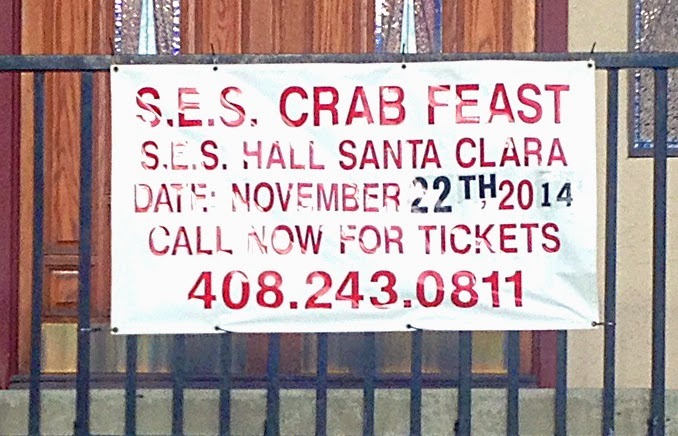 Driving through Santa Clara CA, Jon C was just about able to capture this banner outside the Portuguese Hall of Santa Clara on Lafayette Street. It's interesting, not least because the Sociedade Do Espirito Santo (the SES) is an organisation whose aim for nigh on 120 years has been to preserve and promote Portuguese culture. But the sound th doesn't exist in the Portuguese language. So not only is November 22th meaningless to all and sundry, it's also unpronounceable by the very people at whom the banner is directed.